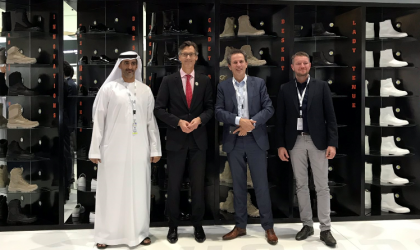 EMMA Safety Footwear is present this week at a major international exhibition in Abu Dhabi, together with business partner National Factory for Safety and Security Products (NFSSP). Emma shoes are built to last. Supple, full grain leather uppers provide a superior fit and enhanced comfort. 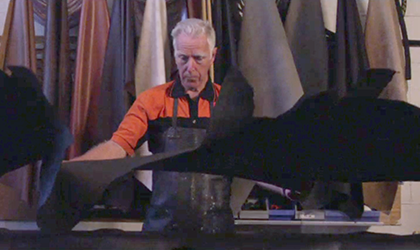 Each hide is carefully examined and only the best part is selected, if any defects are detected then it isnʼt used. See why you may retire before they do. EMMA Athletic -The new running shoes in our collection. So safety shoes can’t be trendy? Nonsense! With the Athletic collection, work and leisure blend seamlessly into one another. Thanks to the sporty look, this collection can be perfectly combined with any outfit. Every shoe is designed for maximum comfort. Extra light, extra strong, extra tough. So sporty that you (almost) forget to take them off after work.